Science and Reason: Changing Stories | Words of Wisdom? I heart Pluto! It has been my favorite planet since I was a small child. I was secretly crushed and rebellious when it was declared not a full planet, and I’m pleased it currently holds the status of “dwarf planet.” I have no rational explanation for why Pluto is my favorite and why the status change mattered to me at all. I expect it’s because I tend to root for the underdog, and it felt like the little guy took a hit in the name of scientific truth. The changing story of Pluto’s planetary status forced me to change a story that I thought was set in stone and unchangeable. After all, it was a scientific fact that Pluto was the 9th planet in our solar system. It can be easy to fall into the trap that our stories, be they stories based on scientific facts, stories of events in our life, or stories written down in ancient texts, are unchanging. But stories change all the time, and they change depending on who is telling them and who is receiving them. They change depending on the filters of the listener, and the context in which they are told. They change when new information is discovered, when our brain cells alter our memories each time we recall an event, and when we have personal experiences that contradict ancient texts. I don’t know if Tyler Volk, the author and scientist quoted above, is a Unitarian Universalist, but his quote, “what if … our story becomes the story of how stories change” has a lot in common with how Unitarian Universalists approach our faith development. James Luther Adams, 20th century UU theologian, told us that one of the tenets of liberal religion is that revelation is never sealed. Whether it’s the public revelation of science that is objective and held with wide agreement, or the private revelation of personal experience that can be highly subjective, we are cautious not to rest too long in the certainty of one story in our search for truth and meaning, but to seek meaning in the deeper truths held within the metaphors and the spirit of the stories all around us. I told some people recently that Pluto will always be a planet in my mind; yet, in truth, I know this is a changing story (and I don’t actually have any authority to say if Pluto is a planet or not). 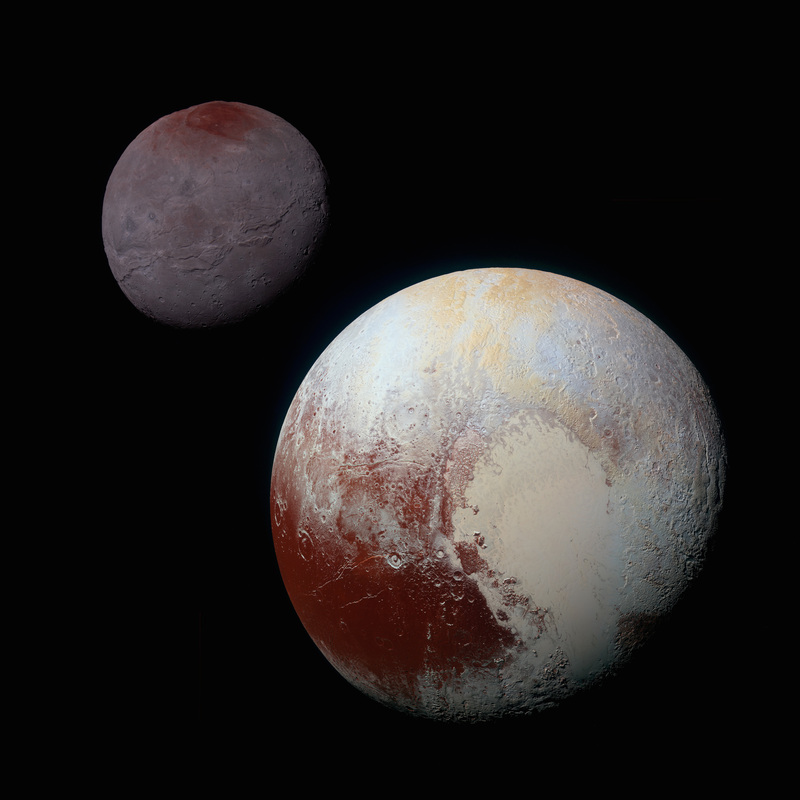 But Pluto still holds a special place in my heart … and thanks to our scientific explorations I have a new story: Pluto is the dwarf planet with a big heart. This entry was posted in Science and Reason and tagged science, stories, true self, Unitarian Universalist, UU 4th Principle. Bookmark the permalink. I must admit, I felt this same way when I found out that there was no such thing as a “brontosaurus”.